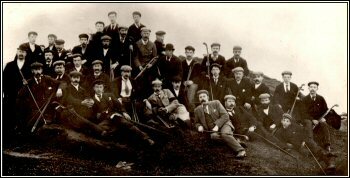 During the latter part of the nineteenth century golfers from Anstruther & Pittenweem played on a small strip of grassland adjoining the Dreel Burn near East Grangemuir farm to the north of Pittenweem. This was the 5 hole course of the East Fife Golf Club. It was recorded at that time that the Anstruther members considered this course to be too far away and there was not a proper road leading to it from the east. An alternative site for golf was identified by the seashore at the Billowness, Anstruther Wester and on 3 November 1890 a meeting to discuss the formation of Anstruther Golf Club was held in Anstruther Wester Town Hall. A committee was formed and annual subscriptions were fixed at: - Gentlemen ‘5 Shillings’, Ladies – ‘Half a Crown’ & Apprentices – ‘Half a Crown’. The course at the Billowness opened on Wednesday 8 April 1891 when the first competition – The Robertson Challenge Medal was played. Originally there were 7 holes starting from below the cave and playing up over Flagstaff Hill however only 2 years later the ground which is now the 1st and 9th fairways was leased and the course was increased to 9 holes. In 1896 Old Tom Morris advised the club to acquire more land at the Hynd (now St Adrians Place) as in his opinion this “would add to the attraction of the course and bring many golfers to the area”. The clubhouse at that time was the first stone building on the left as you play the 4th hole and it was reported that as the clubhouse was so small ‘tea had to be taken six at a time’. The second clubhouse was much larger and sits on the left side of the 3rd fairway but now houses the water tank for the irrigation system. These buildings together with the now disused coastguard lookout station which sits behind the 5th tee and the gun placement at the front left of the 5th tee are now integral parts of the course. The small building nearest the 4th green, behind the 1st clubhouse was a magazine to store the gun shells and this is where the 4th hole got its name. In 1922 the club were given the opportunity to take up the offer of 2 rooms in the old part of the current clubhouse known as Marsfield and this was when the layout of the course changed to starting where it does now. Initially the club rented the West section of the house at £7 per year. This area of the house was gifted to the club and in 1957 Miss Murray also gifted the area of ground known as the putting green to the Golf Club. In 1979 a locker room, kitchen and washroom facilities were added together with a small lounge bar within the Marsfield building. The last significant change to the clubhouse took place in 1984 when the current configuration was created. At a time when neighbouring course were moving to increase their layouts from 9 to 8 holes – Crail Golfing Society moved from Sauchope Links to Balcomie in 1895 and Elie already had 18 holes - as early as 1898 proposals to move the club to a new 18 hole layout between Anstruther and Crail at Caplie were considered. It was viewed at that time that the possible income would not justify the expense for this venture and the committee continued to attempt to acquire more land to develop the course at the Billowness. Over the years many plans have been submitted to extend the course to 18 holes some of which would involve acquiring the ground to the north of the main Pittenweem road bordered by the Dreel Burn incorporating the ground originally used by the East Fife Golf club mentioned at the start of this transcript. The only formal plan ever submitted was in 1910 when the club committee commissioned Mr C F Anderson, course architect to create an 18 hole layout using all the ground from the seashore at the south and the main road and Bankwell Road to the north and east. This course would have measured 4190 yards although as the required financial support from the local burghs was not forthcoming for the upkeep of the new course the committee abandoned this plan and agreed to continue with the development of the 9 hole course. In 1938 the Provost of the now amalgamated Burghs proposed that the Caplie 18 hole course be taken forward which would have resulted in the closure of the Billowness course. It is recorded that after many ‘rowdy’ meetings this scheme was finally shelved. By 1914, at the start of the First World War, the Club was having difficulty raising finance which resulted in the course coming under the control of the Council and then became ‘West Anstruther Municipal Course’. 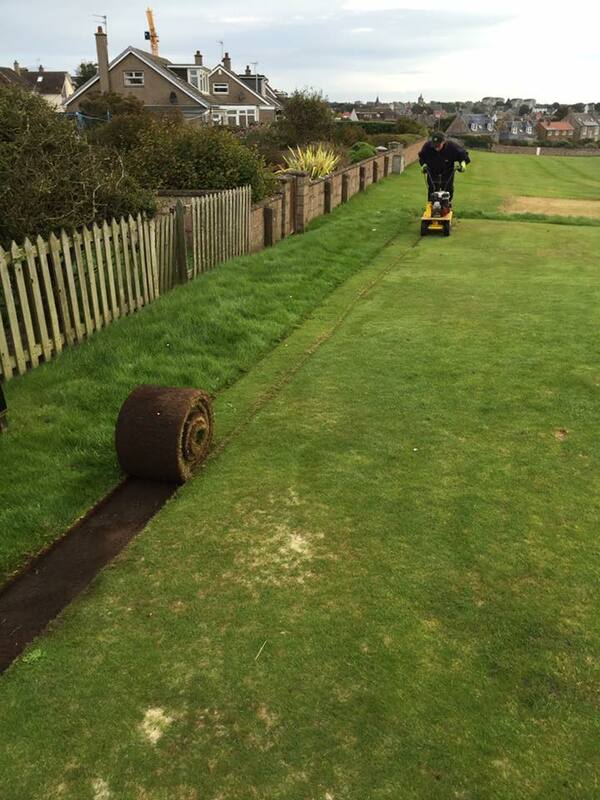 Three years later, the Council having made unsuccessful efforts to run the course, offered once again to lease the ground to Anstruther Golf Club. Money was still a problem and only the offer of funds from a few loyal members prevented the authorities from returning the land to its former agricultural use. During the Second World War the course was trenched and numerous poles were erected to prevent the landing of enemy aircraft. The course closed for play in September 1940 and was re-opened in April 1946 after the trenches were filled in and the poles removed. The post war years were very difficult for the Club due to the lack of funds and members and it survived on a ‘shoe string’ by members giving freely of their time – a theme which has featured throughout the clubs history to the present day. In the early years the course saw many changes as additional land was acquired and the course was extended from 7 to 9 holes although since 1916 there have been very few changes apart from altering the order of holes following the change in location of the clubhouse from the centre of the course to its current position. No official records exist regarding the changes in tees and bunkering but in the run up to the clubs centenary in 1990 information from some of our older members confirm that the first major change took place in 1961 when the first green was moved 30 yards from the top of the hill to its current position and the par three ‘Monument’ was changed from the 8th hole to the 2nd on the card. Very little changes took place from 1961 to 2008 when following the acquisition of some additional land on either side of the half mile the 8th hole was reshaped and lengthened into what is widely acknowledged as the best par four on the course. 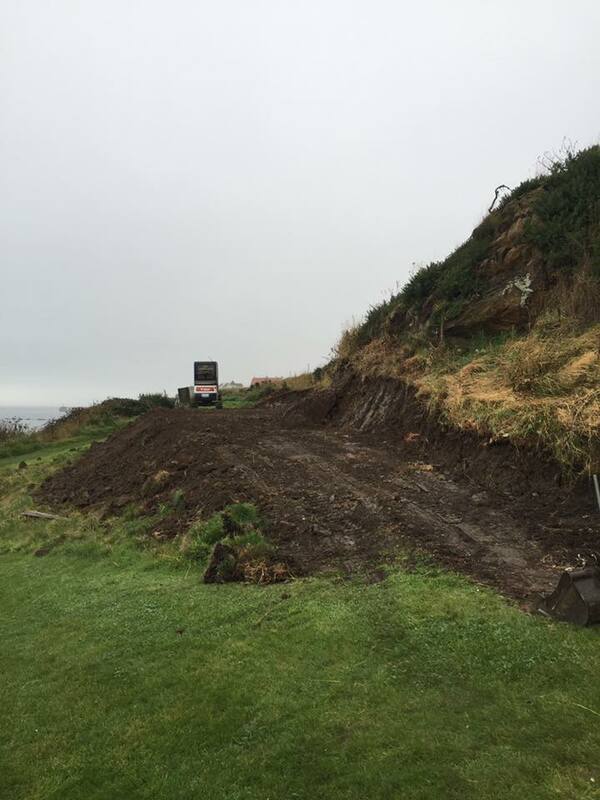 This new 8th hole gave the course a better balance and improved the safety aspect at the top of the hill which previously located the 8th tee, the 7th green and the 4th and 6th tees all within 50 yards! 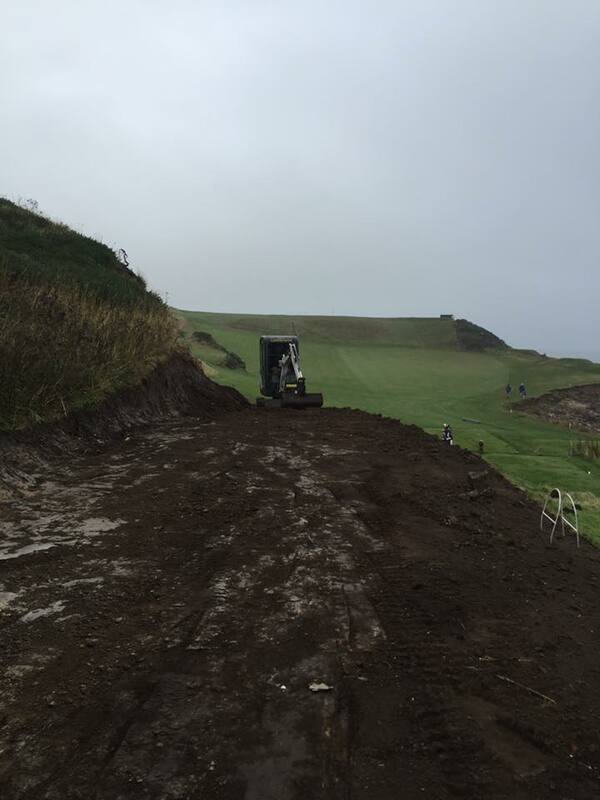 In 2010 the first hole was lengthened to reduce the prospects of golfers driving up the hill all but for the longest of hitters. Many larger and wealthier clubs are envious of what the members have achieved over the years – the spirit and commitment remains strong.